Thinking back to my earliest memories, I recall myself as having been surprisingly (mentally) articulate even as a very young child. Perhaps what I was thinking wasn't necessarily in adult English or even in words but it was still recognisably me doing the thinking, exactly the same person, the same mind that is doing the typing now. Particularly recognisable is the way things use to puzzle and bother me, in exactly the same way then as now. Why was Fred Flintstone ordering a deckchair to be delivered to his car, and what was the deal with Top Cat? 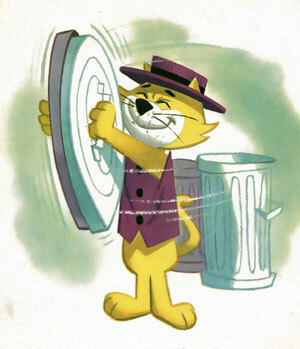 Firstly it bugged me that he was called Boss Cat in the Radio Times and on the TV continuity announcements but that in the theme tune and throughout the show he was Top Cat or TC. My mother did explain that this was because the BBC didn't allow advertising and that there was already a brand of cat food called "Top Cat", but this explanation didn't stand up to scrutiny for me. If this was the case, why didn't they change it everywhere? A caption card saying Boss Cat appearing at the end of a theme tune throughout which people were cheerfully singing about Top Cat and mentioning his name a lot seemed to me like a case of shutting the stable door after the horse had bolted, even if I might not have been able to articulate it in that way. The lyrics of the song itself bothered me a little as well. "Close friends get to call him TC" as if that's a really coveted privilege. Why is it so great to be permitted this familiarity? He's only a cat. What happens to someone who calls him TC whom he doesn't consider a close friend? Or if a close friend does so with insufficient dignity? And again towards the end "He's the boss, he's a pip, he's the championship". How can an individual be a championship? And what was all that business with the coin on the string being flipped into the hand of the doorman of the high class restaurant? Looking at it as an adult you realise that it can't be that fancy a restaurant if the employees are that easily bribed to let you in. It's just one coin and seeing that that the series takes place in New York City, it's a fairly safe bet that it's a quarter. A quarter? Is that all it takes to buy you into one of the Big Apple's top eateries? 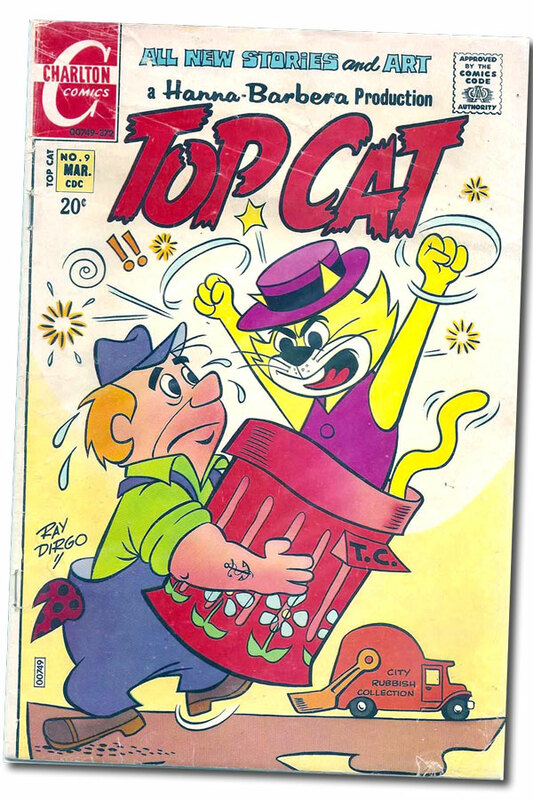 I don't understand why Top Cat went there anyway if all he was going to do was sit on the pavement outside the terrace and then nick a sewer worker's lunchbox. But despite these gaping plot holes, there was something about Top Cat that really appealed to me at the time. It was partly the sense of camaraderie between the members of the cat gang that made me wish I could somehow find my way there and join them. But most of all it was the alleyways. As a six or seven year old child (which is when I was a big Top Cat fan) I was obsessed with the alleyways or "alleys" as I called them that riddled the area in which we lived at the time. In this terraced suburbia there was something magical about these shortcuts behind and between the houses; as an avid Narniaphile I couldn't help but dream that I might walk into one in Edmonton and walk out the other end somehow supernaturally transported to a bizarre magical foreign land where amongst other things cats stood on their hind legs and talked. I knew it was only imagination but part of me really wanted it to be true. What if, I would ask myself, what if I actually do come out of this alley somewhere else? What if Top Cat could really be my friend? I named all the alleys. I don't recall any of the nomenclature now aside from The Lost Alley which certainly lived up to its name. 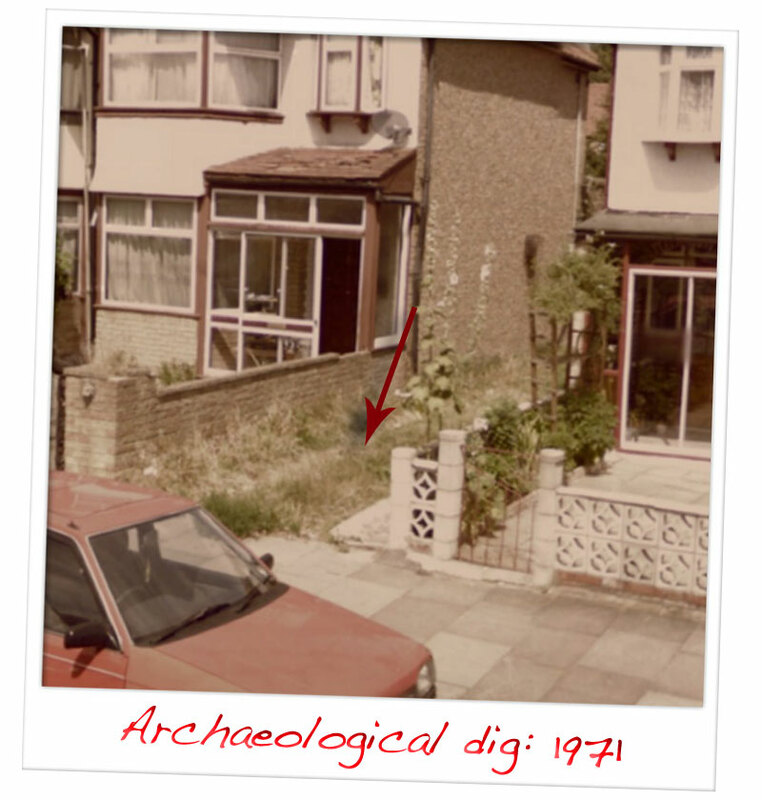 It lay beyond the end of one easily accessible alley where there was a fence overgrown with brambles and weeds. if you pushed your way through these and then through a gap in the planking you could gain access to a fenced off section of alley (similarly boarded up at the other end) that it was obvious no-one had been in for years - the grass came up to my chin. It was discoveries like these that kept the hope alive that something magical might indeed happen one day. I sometimes wonder whether the Lost Alley has been subsumed into someones garden by now or whether it is still lost? Revisiting those alleys via Google Maps reveals the sad fact that they all have metal gates now. I suppose it must have been a very different time back then; for one thing our parents didn't see anything odd about letting us run riot in these rat runs all Sunday afternoon. And Sunday afternoons were about ten times as long in those days, you could lose yourself in them, eventually coming home far older and wiser with great chunks of fresh life experience to be digested by your brain that night. One such summer afternoon I recall that Shamus, Raymond, Steven and I held an archaeological dig in one of the alleys, unearthing a peculiar stone bone. It was probably a lump of sandstone or something similar, but there was something very bonelike about it. I was convinced it had belonged to a dinosaur. When we finally pulled it free the other three boys suddenly turned against me and, wresting it from my grasp, ran off. Interestingly every one of them then came to me afterwards in secret over the next day or two and promised to get the bone back for me as long as I didn't tell the other two. When I was eight we moved away to somewhere without nearly as many alleys. 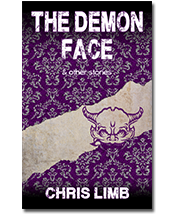 Some of the magic died right there as my brain matured and imagination began to coagulate. But sometimes I would give anything to be back there running through the dust and weeds with the sun on my head, the sounds of grasshoppers in my ears and the possibility of meeting Top Cat just around the next corner. Nothing in adult life ever comes close.